So you're in your mom's basement, sitting on a fold-out chair and surrounded by thousands of abandoned scripts for TV pilots and movie ideas, smashing your head on your trusty Smith Corona typewriter and wailing about the cruelty of it all. Still reverberating in your head is the advice given to you by your parents at the last family meeting, "Give up and get a day job." Why did things turn out this way? Why didn't Spielberg or Nolan return your calls? What can you do to remedy this cruel injustice? You can read this interview with the queen of Hollywood scriptwriting, Jen Grisanti. You can take her advice to heart, move out of your parents house, and get to work! I'm great today. How about you? Wonderful, thanks for asking. Let's start right off with talking about your new book that's coming out this March called Storyline: Finding Gold in Your Life Story. Without giving too much away, what kind of advice do you have for those with a story to tell? The book is about fictionalizing your truth, so it's about writing from an authentic place. I go pretty deep into how writers can draw from their own emotional well and add fiction to it in their writing so it's not writing from an autobiographical place but writing from a place of truth and adding fiction to it. Sort of like writing what you know but with pizazz to give it a little "wow" factor? Exactly. Say for example you're writing a TV spec script and you're writing a Modern Family or The Good Wife, and you are looking at your own personal well of information and figuring out how do I draw from some of what I've experienced in my own life and put that into my characters and situations so that I'm coming from an authentic place? Which means your voice will come out in your writing and you'll connect with your audience. It really is about learning how to draw from your well in order to connect with your audience. I read a little bit about the CBS Diversity Program that you are involved in that fosters young talent and I saw that you've mentored quite a few writers and directors. What are some of the common misconceptions people have about working in television? I should also add that along with being a mentor in the CBS Diversity program, I'm the writing instructor for NBC's Writers On The Verge. When I was at CBS, that's when I was a mentor there, then I was the writing instructor for NBC's Writers On The Verge for the last three years. To answer your question about the common misconceptions people have about working in television, I would first say that a lot of people will come to LA and think "Oh, I've got this great idea for a pilot that comes from my true life" and they'll write more from an autobiographical place and they think that they're going to write one script and they're going to get staffed. It's a VERY big misconception. I remind writers to think of what Malcolm Gladwell said in Outliers and that is ten thousand hours in the pursuit of excellence and how they discovered that anyone who's been an expert in any field has put ten thousand hours into it. So it really is learning that you have to first build your writing portfolio, so you definitely need a minimum of three to four current scripts that really hit it out of the ballpark. So I would say that misconception is don't think you can come here, write one script, and have it happen overnight because that's not how it happens. I would say another misconception is probably the writing staff experience in general. I think a lot of people look at it as a very glamorous life and I think parts of it are and it's certainly a gift to wake up and do what you love to do every day but being on a writing staff and staying on a writing staff is a tremendous amount of work and it really is learning how to play the politics. Another example of that is a lot of writers think "I've got to have an agent or a manager" in order to get work and yet the hardest thing is now that many agents and managers are not signing lower level writers until they get work. But you CAN get work without having an agent or a manager. It's a little more difficult, but it is possible. You are breaking a lot of hearts out there. I can see the fat tears rolling down the cheeks of everyone holding a box of scripts covered in Doritos crumbs. Oh, it's definitely possible and I don't want to break ANY hearts. I want to empower writers to be entrepreneurs because YOU go out there and YOU make relationships and those relationships lead to jobs. So if you're out there and you're networking at Writers Guild events and Directors Guild events and you're meeting people and suddenly you meet an assistant who says, "Hey! Guess what? My boss is looking for lower level writers on my show." Then you send in your script and if the assistant loves it, you increase your chances of getting staffed. And once you have your foot in the door on a job, then the agents come running. So it is just learning how to play it, not get defeated by it, and become good at playing the game. From what I've seen and heard the studio execs look pretty scary, so for a struggling writer dressed in rags to appeal to the bottom line money men seems like a daunting task. Are there any real big risk takers out there willing to put on the line for a great undeveloped script? Definitely. Would I say it happens very often? Probably not, but it does happen. 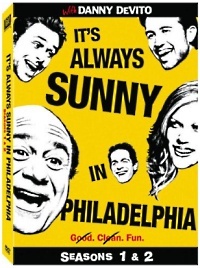 You have spec scripts that have been sold, although I think that only three specs pilots that have been sold over the last couple of years that have gone into shows like say for example It's Always Sunny in Philadelphia. That started as a bunch of actors that put together a reel and who wanted to be in their own show. They wrote the script, they made the show and it turned into a pilot and got sold. Now that's certainly not the norm when it comes to selling pilots. You even look at the Matthew Weiner story behind Mad Men and from what I understand, that was a script that had been written eight years before somebody took a chance and then it was sent to AMC for staffing and a smart executive at AMC saw the potential in it as a pilot and series and that's how that went. Every hungry development executive out there is looking for that script that is going to be their ticket. The big networks ABC, CBS, NBC and Fox, what are they doing these days to keep from losing viewers to all the fantastic cable programming? I would say that they are trying new things. In their current format, I would say that some of the shows are pushing the envelope a little bit as far as what used to be the standards and kind of going a little beyond them. Certainly in shows like Criminal Minds and The Good Wife, you get the feeling that they've taken liberty to push into other realms on some of their story lines to make it feel more cable-like. It is interesting because cable has come to the forefront in the last five years but I would say that there have been some outstanding network shows too, such as The Good Wife and Modern Family, also Glee and this season I would say Hawaii Five-O has done incredibly well. So you know , the good thing cable does is put everybody on their toes. Agreed. I think network TV has stepped up their game. When we see these cable shows, it inspires good writing. Every writer wants to be able to reach those heights. When we see this on cable, it inspires network to figure out how can we go there and stay within the boundaries of what we're supposed to do. I think they have found ways to do this. I've got to be honest, I have never had a problem with reality TV. I'm the type of person that feels there is enough room for everyone to succeed and God knows we have enough channels out there and as far as scripted drama, I say rather than look at it as competition or loss of work because of the success of reality shows, look at it and study it because when you look at the characters on reality shows and you see what's popular, you should take note and try to put that into your writing. That is fertile ground for learning and there is something about reality shows, or at least the ones that are done well, where you are in the moment that a person achieves their dream. Wish fulfillment at its highest and that's certainly something we'd all like to be a part of. We need to talk about the fact that you worked with and were mentored by Aaron Spelling, who's as far as I'm concerned is the undisputed king of all Television. 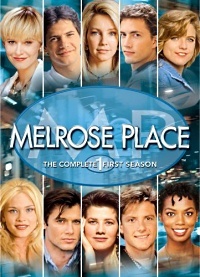 I mean 90210, Melrose Place, Charlie's Angels, the list never ends! What was it like working with him and touching those scripts and helping mold those stories? You know, he made my career. Aaron was a huge part of why I am where I am because he taught me everything and he believed in me. It is an interesting thing. Mentoring is so important to me because I was mentored and I was mentored by a person who was fantastic. It was just the right time in his career. I started at Spelling on the first day they were casting Melrose Place. Grips heart! Billy! Allison! (groans) Oh what I would have given! Yeah, that was a good day to start work in the Spelling office. 90210 was in its second year, I was very much like you, I was in awe of Aaron Spelling and everything that he had done for television and I had watched all of his shows. So for me it was huge and the interesting story is, and this is good for everyone to hear because it shows everything happens for a reason, the first time I went up for the job I got it through a personnel agency called the Friedman Agency in Los Angeles and Leslie Kamar who now has her own agency (the Kamar Agency) placed me at Spelling and the first time I went up for the job, I didn't get it. It got down to the last two people and the other person got it. Then I temped for the president of Spelling Films for a month and the girl who they ended up going with didn't work out and I got offered more money at the start of my career. It was also all about creating a niche, like when I was in his office I recognized that there was no one reading scripts in the inner office and so he'd have to make five calls to get answers on these scripts. So I went to him and asked him if I could read scripts and he said, "Sure" and what that meant was that I'd have to work in the office until 8:30 at night and then read scripts until 11:30 and then that led to a routine where he would teach me everything that made a script great and I would share all my notes with him and that's what led to me climbing the ladder. It was a great experience. The idea of sitting in the office with Aaron Spelling and trading ideas about great scripts just killed like a thousand people. What a golden opportunity. Mentoring is a huge part of what you do. Your consulting company works to empower young creative writers by giving them tips and vital information that your years of experience have afforded you. What services do you offer? I do one-on-one consults, seminars, and teleseminars. Will you do a book tour, so I can come wave at you? I am! But first I'm going to be doing a seminar at UCLA on March 19th called "How To Tell A Story That Sells" and I'm going to be teaching from my book Storyline: Finding Gold In Your Life Story and I'm also going to have a panel of writers there. I already have a writer from Dexter and a writer from The Good Wife. Also after the seminar with the panel, I'm going to have a book signing. You can go to my website and look under events and seminars to see all the events I have coming up and another great thing for writers is I have a newsletter that I put out monthly that is all about giving writers information about all the events happening around town that can help them network and move forward in their career. That would be something that would be worth their looking into as well. We'd love to get those book tour dates once you get them solidified! I would love that. I know we are doing something at the Writers Store but we don't have a date penned down yet, I think it's going to be in March. Also I'm hoping to go to New York in June or July. Let's talk pop culture for a moment. I'm going to spring The CB3 on you. Are you ready? Oh, good question. I'd have to say Thriller. I'm going to go with Debbie Gibson. This is the one that always gets them. Pretty In Pink or Sixteen Candles? Sixteen Candles without a doubt. Oh I wanted to say that I also have a podcast that is free for all writers and it's called Storywise and I interview all of the top storytellers in TV and film and it's designed to give writers the story behind our top storytellers as a way to inform, motivate, and inspire them to believe that they can make their dreams a reality. Thank you so much for talking with us today, and congratulations on all your success and your new book! Jen Grisanti is a former script coordinator for Aaron Spelling, former and former Vice President of Current Programs at CBS. Currently, she's the writing instructor for NBC's Writers on the Verge and heads Jen Grisanti Consultancy. 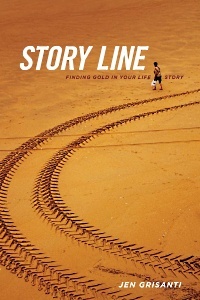 Her book, Storyline: Finding Gold in Your Life Story, will be published in March 2011 by Michael Wiese Books.